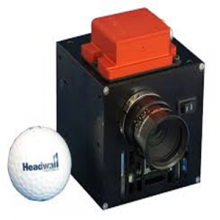 Headwall is helping to make inspection faster and more reliable than ever by introducing hyperspectral imaging into advanced machine-vision systems. Headwall’s hyperspectral sensors are robust, exceptionally fast, and provide the level of spatial and spectral resolution needed to detect anomalies and other characteristics invisible to the eye. Best of all, Headwall’s sensors are application-specific and affordable, meaning that you can deploy them almost anywhere. The use of diffractive optics means very few moving parts, and ruggedized enclosures allow these sensors to be used in very harsh environments. They run unattended 24×7, which gives you the level of inspection efficiency you need in a high-speed, high-volume environment. Inspection using spectral sensors isn’t limited to high-volume inspection lines. Headwall’s sensors can help improve forensic science, color management, plant phenotyping, and even document verification. 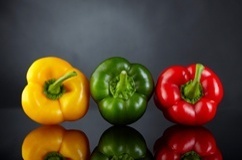 Every bit of matter is reflective, which allows hyperspectral sensors to literally ‘see’ the spectral composition of anything within its field of view. With outstanding spectral and spatial resolution, the amount of data collected by the sensor is astounding. Headwall not only produces sensors, but also provides the Hyperspec software needed to manage this vast amount of spectral data for immediate analysis and management.